Located at the center of the windy and famous Golden Beach, on Paros, Force 7 WindSurfing offers windsurf lessons for beginners and advanced surfers. With experienced and qualified instructors, using the latest equipment from Jp, Goya, Neil Pryde & Attitude, Force 7 guarantees great sessions in the water. 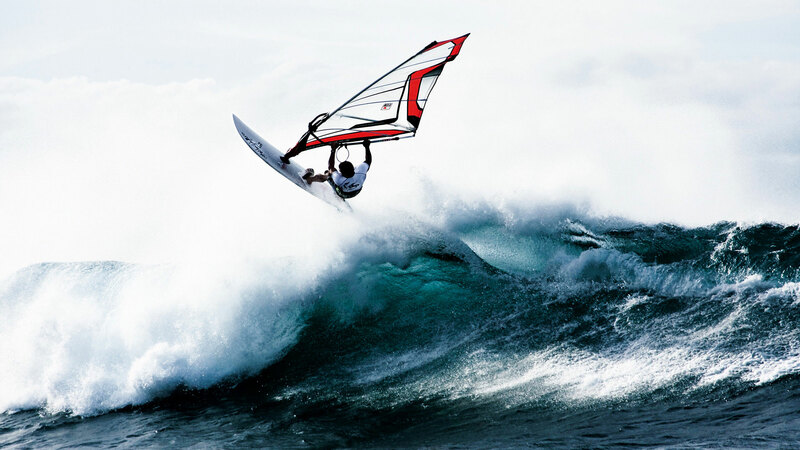 Windsurfing teaching programs are designed for beginners to advanced windsurfers and can take you from your first ride to advanced jumps and tricks. Force 7 WindSurfing offers windsurf lessons for beginners and advanced surfers. Our full windsurfing equipment rentals package includes windsurfing boards, sails and a mast, along with all the other hardware and accessories necessary to get out on the water. We’re also offering reduced-diameter skinny masts for a variety of sail sizes. What’s more, you’re free to exchange your gear as often as you like (depending on availability, of course). No matter if you want to try a larger sail or a smaller board, our windsurfing rental department has you covered. Our windsurfing equipment includes JP boards and NeilPryde sails.